I've been making these cookies for a few years now. I'm not a cookie baker most of the time, but if I am ever in the mood to bake cookies, I want a recipe that yields a lot of cookies! These cookies are very good, easy to make, and extremely versatile when you add a variety of flavored chips to the mix. Did you know? During the 1992 Presidential election, a reporter asked Hillary Clinton if it was ethical for her Arkansas law firm to get government business while her husband was the governor of the state. She responded by saying, “I suppose I could have stayed home and baked cookies and had teas.” Her comment didn’t go over too well, but Family Circle magazine decided to capitalize on it by holding a cookie baking contest between the wives of the two candidates, and that contest has now become a tradition during each presidential election. That first year Hillary and Barbara Bush both made chocolate chip cookies, and Hillary won with 55% of the votes. In 1996, Hillary used the same cookie recipe to beat out Elizabeth Dole, who made pecan roll cookies. Four years later, Laura Bush was up against Tipper Gore and her ginger snaps. 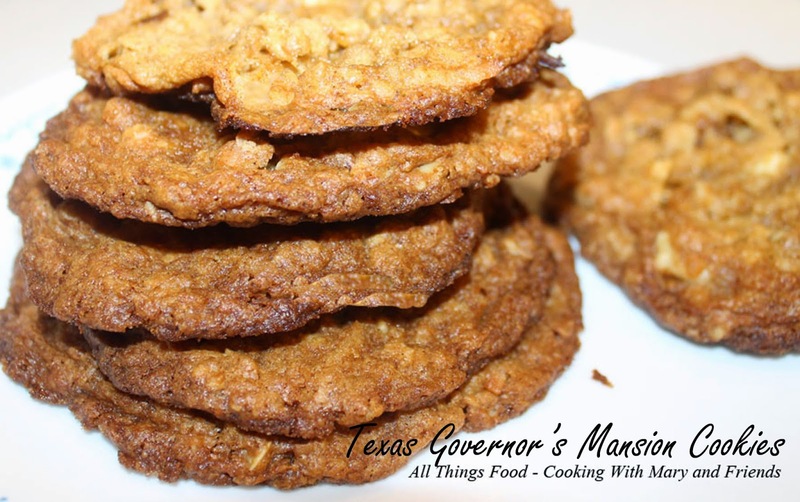 Mrs. Bush won the contest with her Texas Governor’s Mansion Cowboy Cookies, and in January 2005, during the second presidential inauguration of her husband, George W. Bush, 250 dozen of these cookies were served at one of the inaugural balls. Mix the flour, baking powder, baking soda, cinnamon, and salt in a bowl. In a mixer bowl, beat the butter on medium speed for 1 minute until smooth and creamy. Gradually beat in the sugars to combine for 2 minutes. Add the eggs, one at a time, beating after each. Beat in the vanilla. 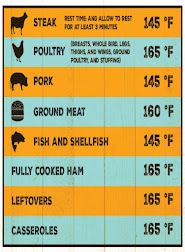 Preheat the oven to 350. Remove the bowl from the mixer and stir in the flour mixture until just combined. Add the chocolate chips, oats, coconut, and pecans. Using an ice cream scoop, level off the dough and place onto lightly greased baking sheets. Bake 13-15 minutes or until slightly underdone. Allow the cookies to cool on the baking sheets for 2-3 minutes before removing to a cooling rack. *Note - a mixture of white chocolate, peanut butter and butterscotch chips is also very good, or any combination you like, equaling 3 cups.